Supporters of frogs, toads, newts, snakes and lizards will be gathering in Cornwall on Sunday 3rd March for a South West regional meeting of Britain’s Amphibian and Reptile Groups. Staged at Cornwall College Newquay, the conference is being organised jointly by the Cornwall Reptile and Amphibian Group (CRAG) – a specialist group within Cornwall Wildlife Trust – and the College’s Student Invasive Non-Native Group (SINNG). The programme promises a lively mix of presentations on local, national and global conservation issues. Topics include Cornwall’s rare sand lizards, latest results from SINNG’s studies of non-native amphibians in the county, and a report on the current status of adders in the UK. Delegates will also draw inspiration and ideas from research as far afield as Spain and Tanzania to help conserve species closer to home. Practical guidance will be given on recording systems and on biosecurity measures to prevent the spread of diseases through fieldwork. There will be lighter moments, including a session entitled ‘Adam, Eve and Hissing Sid’, as well as time for informal discussion. “One of the best things about Amphibian and Reptile Group meetings, nationally and regionally, is that they give people a chance to encourage each other’s efforts and share information, says CRAG Co-ordinator Mark Nicholson. The event’s sponsors are environmental consultancy companies CGO Ecology Ltd and Herpetologic Ltd, as well as the College itself. Anyone interested in attending is asked to contact Pete Mycock at newtpete@hotmail.co.uk for details. 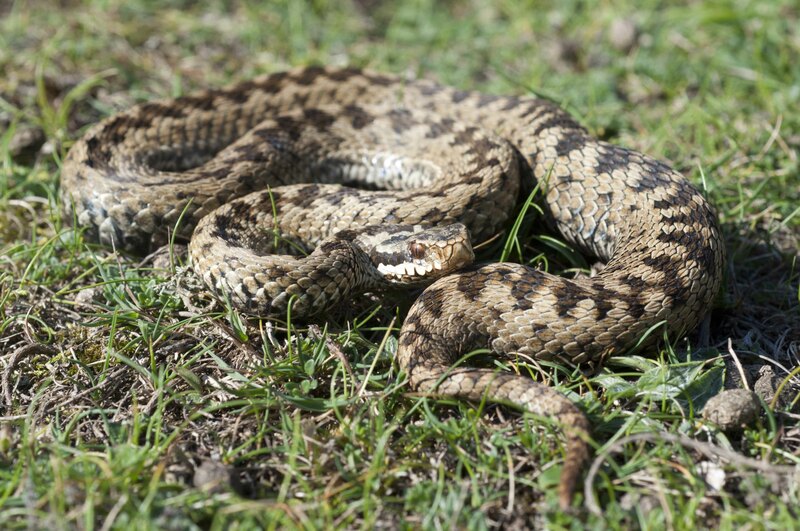 Conserving adders is high on the Amphibian and Reptile Groups’ agenda. Tags: amphibians, Mark Nicholson Copywriting, reptiles, wildlife. Bookmark the permalink.